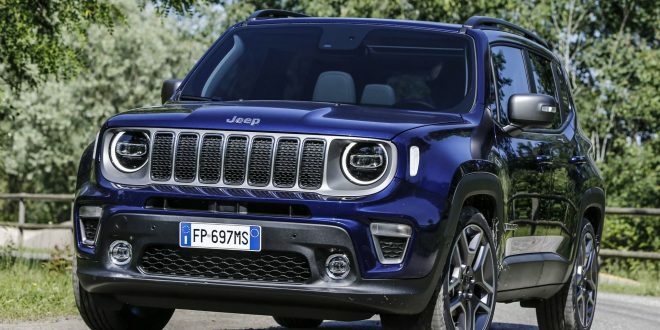 Fiat Chrysler has confirmed plans to produce a plug-in hybrid variant of the 2020 Jeep Renegade. The company’s Melfi, Italy assembly plant is already preparing to produce the electrified Jeep. The plug-in variant of the Renegade will be produced alongside the gasoline version and the Fiat 500x inside the Italian assembly plant. FCA says pre-production of the hybrid will begin sometime in 2019, while regular production will start in 2020. Thus far the automaker has stopped short when it comes to details of the Renegade plug-in hybrid. Common sense would suggest it will utilize the same–or at least similar–technology to that of the Chrysler Pacifica Hybrid. The intention of the electrified Renegade is to meet increasingly stringent fuel economy standards in China and Europe. In addition to the plug-in version, Jeep is also expected to eventually rollout a mild hybrid flavor of the Renegade. The mild hybrid variant is expected to utilize FCA’s eTorque system that recently launched on the 2019 Ram 1500. Effectively, a 48-volt power system and battery allow the engine to shut off during light loads and provide electrical assist to lower fuel usage. Of course, the plug-in variant of the Jeep Renegade will utilize its refreshed appearance, which is launching for the 2019 model year.